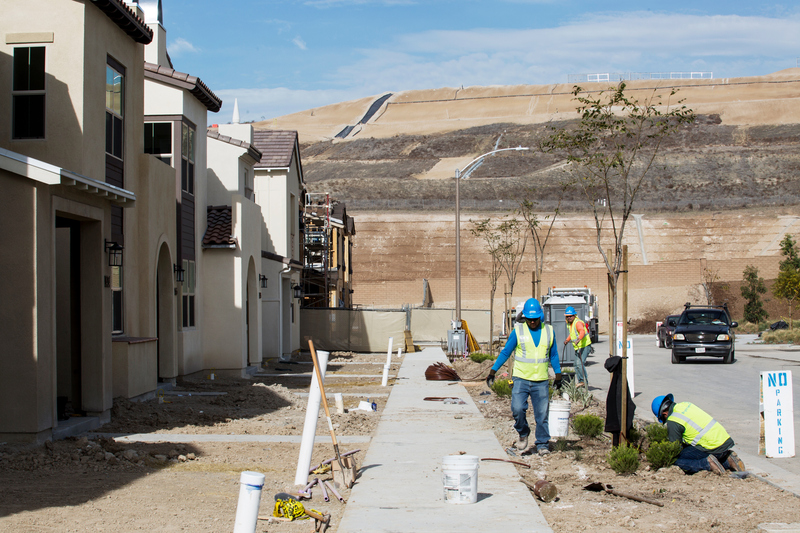 People who bought new homes in Otay Ranch’s Village of Escaya can start moving in Friday — later than planned but after the developer took steps to address methane found at the site. The 450-acre, multimillion-dollar project in eastern Chula Vista stalled late last year when the Otay Water District wouldn’t provide meters for the homes until issues surrounding methane and other volatile chemicals discovered at the site were resolved. A consultant hired by the developer, HomeFed Corp., issued a report in December that the levels of methane and other chemicals were so low that they would not harm future residents or the water district’s pipes. The water district then allowed the water meters to begin being installed. That work was finished this month. A decision also was made to spend $8,000 to $10,000 to install ventilation and soil gas control systems on each lot affected by the methane, said HomeFed Vice President Kent Aden in an interview with inewsource. HomeFed officials said the company hired multiple consultants to evaluate solutions to the methane issue and were told chemical levels were not high enough to require mitigation, except possibly in limited locations. “The fact that we’re doing mitigation is conservative to begin with,” Aden said. The other phases of the project won’t be built before all testing and necessary mitigation is completed, said Halé Richardson, marketing director at the Carlsbad-based HomeFed. Home prices in the development at Heritage Road and Main Street range from the high $300,000 to the low $700,000. HomeFed is still working to find the possible source of the methane, Aden said. Geokinetics, the environmental engineering company that HomeFed hired to assess the methane problem, said the nearby Otay Landfill was the most likely source. A possible problem at the site surfaced in April when workers were digging a trench and noticed chemical residue, which led to soil testing. That’s when the methane and other chemicals were discovered. Escaya has 948 planned homes, and so far 205 have been sold. HomeFed began notifying home buyers of the methane issue during the summer and gave them five days to rescind their contracts. Eighteen backed out citing the environmental concern as the reason, Aden said. He said typically about 15 percent of home buyers cancel their contracts in new home developments. Aden put Escaya’s cancellation rate at 18 percent, and he attributed some of that to news reports on the methane problem. To try to determine the source of the methane, HomeFed tested the west half of the development in June and July. Testing on the east half of the project finished last week. Aden said the west lots are being retested to see if the results have changed since the ventilation was installed. 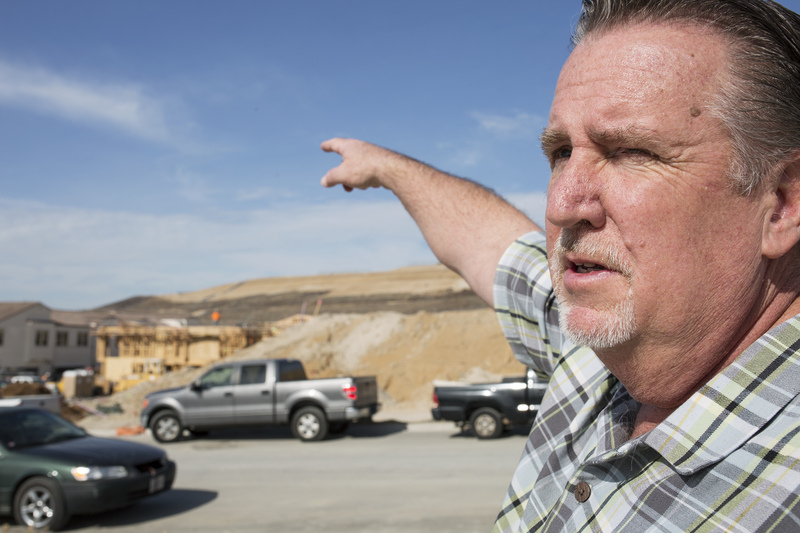 Because the Otay Landfill, owned by Republic Services, has been cited as the likely methane source, inewsource asked the company for an interview. The company declined the request and a spokesman issued a statement. The landfill is permitted to process 6,700 tons of waste daily, including industrial waste, dead animals and contaminated soil. People buying houses in the Escaya project sign a nuisance easement that details the landfill’s proximity and possible problems associated with that, such as odors.